on the TV Show and Comics! Galaxy Quest The TV Show?! The Hollywood Reporter and SlashFilm has announced that galaxy Quest is back in the works for a show! We'll keep you up to date with new developments as they happen! Until the next update, you can brush up on all of the restored Galaxy Quest info here and on the Wikki page! 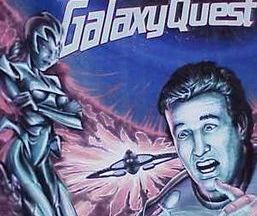 Galaxy Quest was released when I was in kindergarten back in December of 1999. I didn't become a Questarian or a die hard Galaxy Quest fan until sometime in middle school. I remember the first time I watched the film, as a kid when I saw the little green aliens on the side of the VHS box I thought it was going to be a horror film- but it wasn't. It was this amazing comedy that illuminated sci-fi fandom. Back in my freshman year of high school I decided to create this Galaxy Quest site because I noticed there had been a lack of Galaxy Quest fan sites out on the internet. There was just a few and they had not been updated in years. I made it my goal to have the most updated Galaxy Quest website on the internet, because these characters and this story deserves it. I hope that some day we get to see the rest of the story, because we know that the Journey Continues! We know that there are many more adventures to be had! I hope you become a member and leave a message in the guest book, or send me a message directly. I love being able to talk with the fans of the film and maybe here soon- the franchise. I hope to talk to you soon! 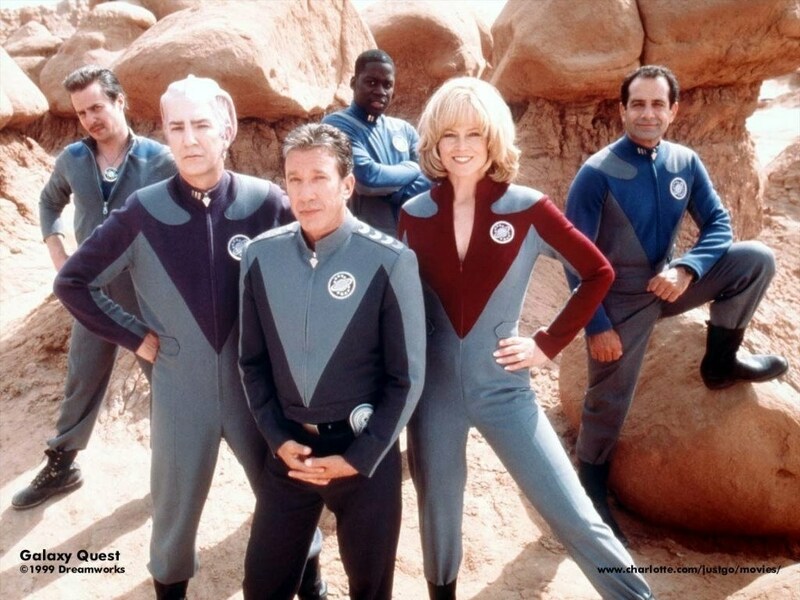 The show, Galaxy Quest, Started in 1979, and it lasted till 82'. Near the end of the 3rd season the show did start to become more popular, but the up and coming fanbase did not fetch the sponsors enough cash. In recent years the show has continued to become a cult classic. To learn more about Galaxy Quest and it's beginnings, watch the informative Galaxy Quest 20th Anniversary special below. The Documentary even features Frank Ross the Creator and Producer of Galaxy Quest! Galaxy Quest Uniform Patterns are in the makings. I hope to have them made some time soon! The model N.S.E.A Protector from Pegasus Hobbies has excellent details and the Nebulizer and Vox kits have been well crafted! The NSEA Protector is the Flag Ship of the National Space Exploration Administration.